Universal Web page with access to the cable drivers for various operating systems so that the application software can access the USB as a standard COM port. Right click on the download button and save the "target" or "link". 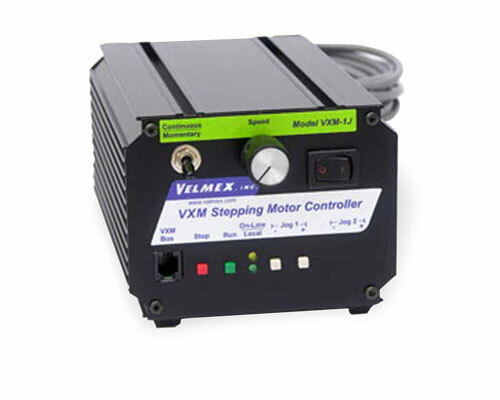 The VXM-1J has no computer interface, therefore there is no software or drivers for this device. Power (Green LED) light does not come on. Power supply not connected or AC cord not attached. Motor makes noise but is not moving (Stalled). Circuit breaker trips when power applied. Voltage >28 volts or polarity reversed. No code examples for VRO Readout at this time. No application notes for the VRO Readout available at this time.